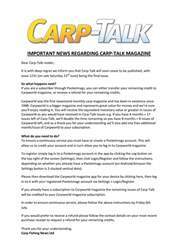 This week’s issue of Carp-Talk (issue 1030) is available to download now. 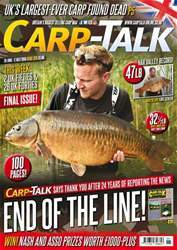 We look back at the semi-finals of the UK Carp Cup at Richworth-Linear Fisheries, Mike Hamer has a solution to one of the biggest problems with margin fishing, and Harry Law recalls a red-letter trip to Ladywell Lake in Essex. 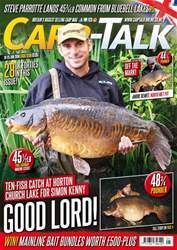 Team Korda has seven simple tips on improving your catch rate, Dave Springall makes the most of his limited time on the bank, and Haydn Hoskins experiments with bait and boats on Kingsmead Island Lake. 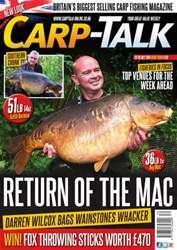 We have got four venues worth considering in ‘Where to Fish’ and products from Sonik, Marukyu and 30Plus go under the spotlight. 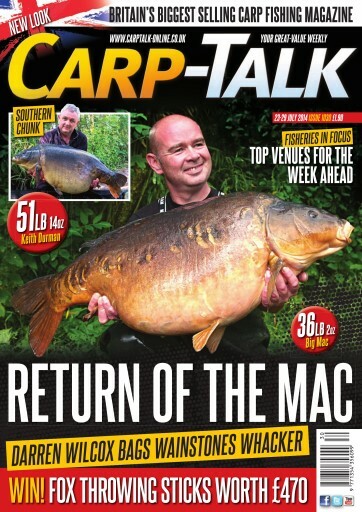 We also have a £470-plus Fox throwing stick giveaway and the Gardner monthly winners.